Summer holidays have ended and parents as well as children might be happy to go back to a routine after a summer of relaxation. The weather has been helping us lately with welcomed sunshine to cheer up the school runs. An impressive and beautifully presented four bedroom detached villa, which has been comprehensively re-furbished, reroofed and significantly extended by the present owners, finished to a high standard and specification, located within the heart of the desirable Broom Estate residential enclave of Newton Mearns. Deceptively spacious and one of the largest villas we have seen recently in the area, this home affords well appointed and light accommodation arranged over three floors. In total the accommodation extends to over 3300 Sqft and provides flexible accommodation, well designed for family living. The Broom Estate displays many individual properties from the pre and post war era. A number of substantial modern homes have been built on the sites of the original dwellings and signifcant ongoing investment continues to be made by the residents in their homes. Broom Road is conveniently located for access to The Avenue shopping centre, Waitrose at Greenlaw Village Retail Park, Broomburn Park and local shops at the Broom. For those with young families, the property sits within the catchment area for some of Scotland’s highest attaining primary and secondary schools, including Kirkhill Primary School, Mearns Castle and St. Ninian’s High Schools. Falkland Avenue is within a short walk of the private Belmont House School and a number of school-run pick-up points for private schools in Glasgow. Click here for full details on this property. NOW UNDER OFFER! Seldom available, a well presented MacTaggart & Mickel detached bungalow within sought after location of Newton Mearns. 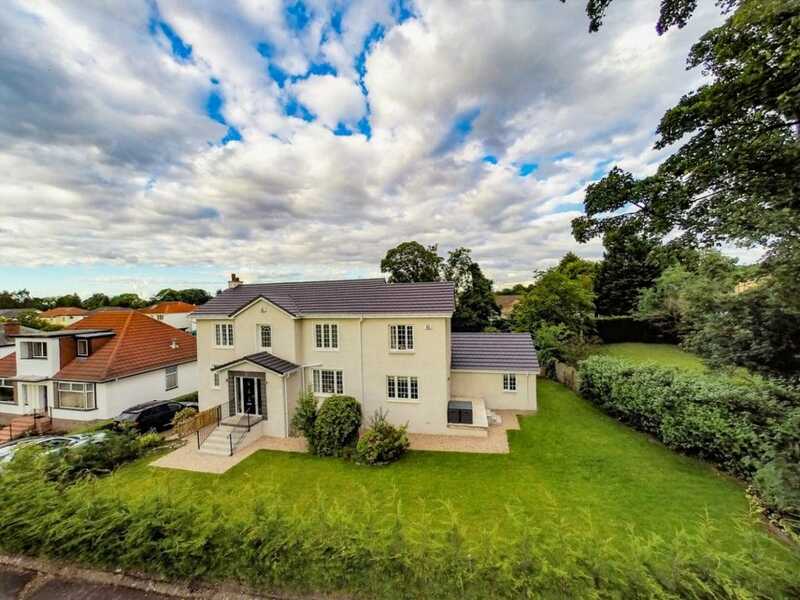 Internally the property provides flexible accommodation arranged all on the one level, extending to nearly 1440sqft, well-proportioned throughout. For those with young families, the property sits within the catchment area for some of Scotland’s highest attaining primary and secondary schools, including Kirkhill Primary School, Mearns Castle and St. Ninian’s High Schools. Mearnscroft Gardens is within easy reach of the private Belmont House School and a number of school-run pick-up points for private schools in Glasgow. A spacious two bedroom/two public room top(second) floor apartment located in sought after and popular location of Giffnock, close to local amenities and services. The property has been well maintained by the current owners affording flexible accommodation extending to approximately 1,122 SqFt. This spacious flat is conveniently located for access to Scotland’s only Wholefoods Store, The Avenue shopping centre and Waitrose at Greenlaw Village Retail Park. Giffnock is acknowledged for its standard of local amenities and provides a selection of local shops, supermarkets, restaurants, regular bus and rail services to Glasgow City Centre, banks, library and health care facilities. Giffnock is considered one of the primary residential suburbs on the south side of Glasgow. The Sunday Times newspaper has voted Giffnock in the top 100 places to live within the UK. A well presented upper one bedroom MacTaggart & Mickel apartment providing elegant and light accommodation, which extends to nearly 550Sqft. and situated in a quiet cul-de-sac. Cherrybank Gardens is conveniently located for access to The Avenue shopping centre and Waitrose at Greenlaw Village Retail Park. For those with young families, the property sits within the catchment area for some of Scotland’s highest attaining primary and secondary schools, including the new state of the art Eastwood High School and is within easy reach of the private Belmont House School and a number of school-run pick-up points for private schools in Glasgow.